Good morning! 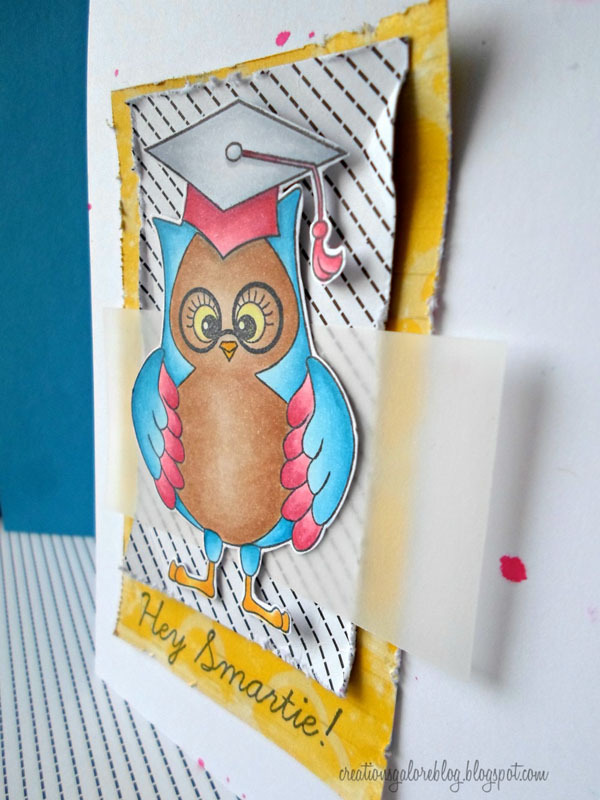 Nicole, here, bringing you a step by step tutorial of my Hey Smartie Owl card from last week's Make N Take. There are lots of little techniques jam packed into this card, and I can't wait to get started! 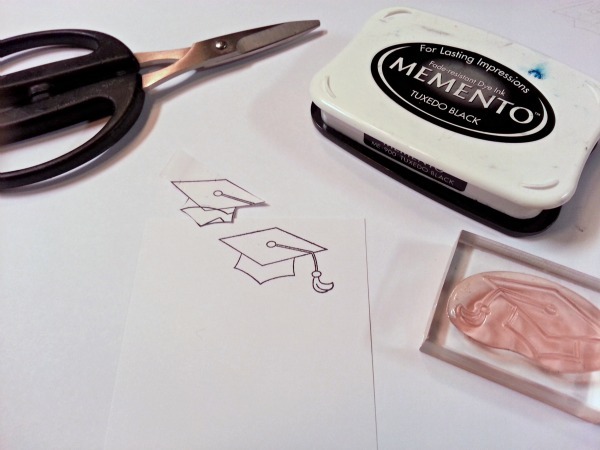 I stamped the graduation cap once onto a piece of scratch paper and an additional time onto a piece of X-Press It Blending Card. 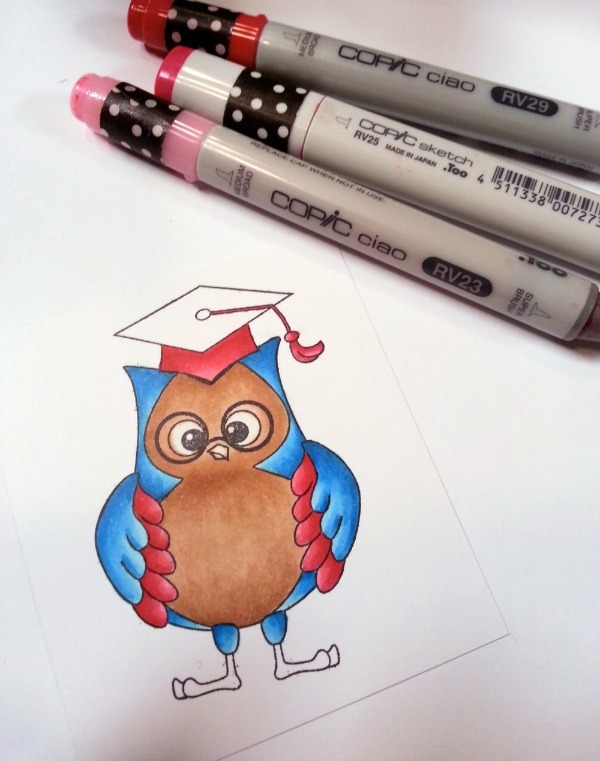 This is my favorite paper for coloring with Copic Markers. It has a smooth finish and the colors stay wet longer, allowing blending easier. Cut out the cap on the scratch paper to create a mask. Place the mask over your nicely stamped image. 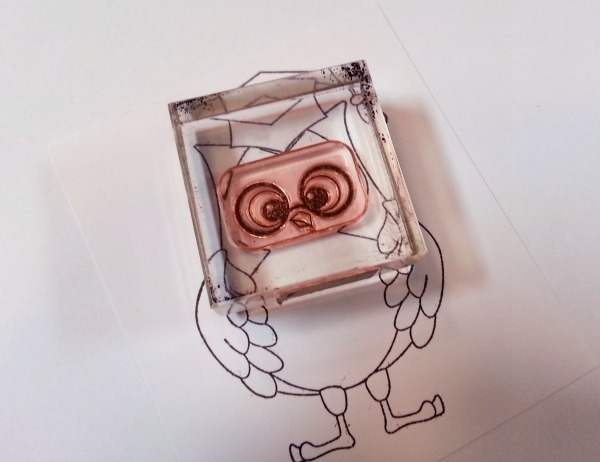 Ink up the owl stamp and press down over the mask. It will look like he's wearing the cap. The clear stamp makes this process beyond easy! Next, I chose a set of eyes from the stamp set. On the card I showed above, you'll see the first set of eyes which include eyelashes. I used the set without eyelashes below so you could see the variety. So fun! 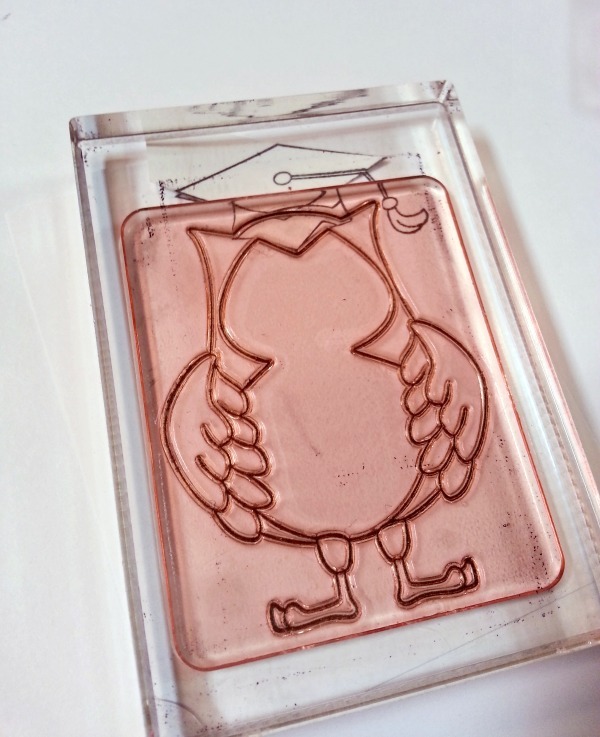 You can create your own little creature! Are you ready to color? 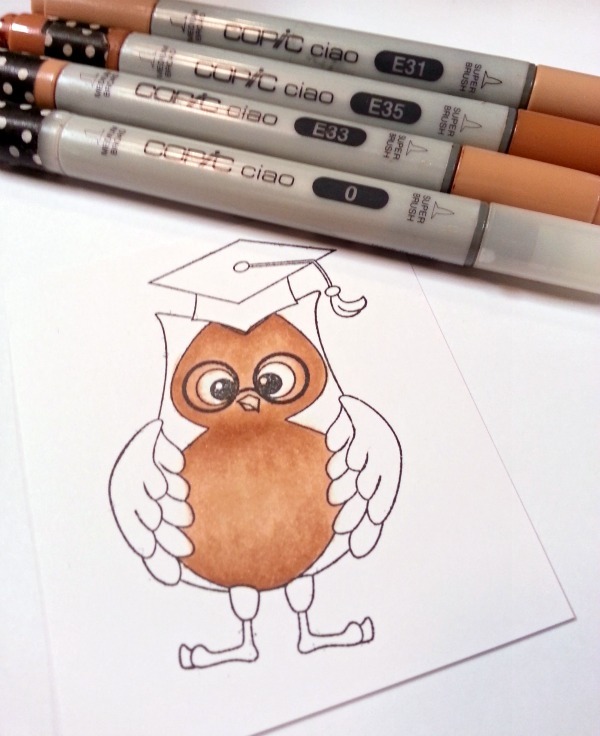 I first grabbed my favorite set of browns and colored the main portion of the owl image. I tend to start with the darker colors. Please note: The colorless blender does not blend. If color is accidentally placed outside the line, it can be pushed back in its spot with the colorless. It's a must have! And the pinks. You'll notice from this picture that I have a combination of caio and sketch markers. Because I store my markers horizontally in drawers, I like the caio markers and the large, easily read numbers on the barrel. However, only a portion of markers are available in the ciao. Therefore, it's inevitable that a sketch or two will trickle into my collection when I need to complete a blending group. 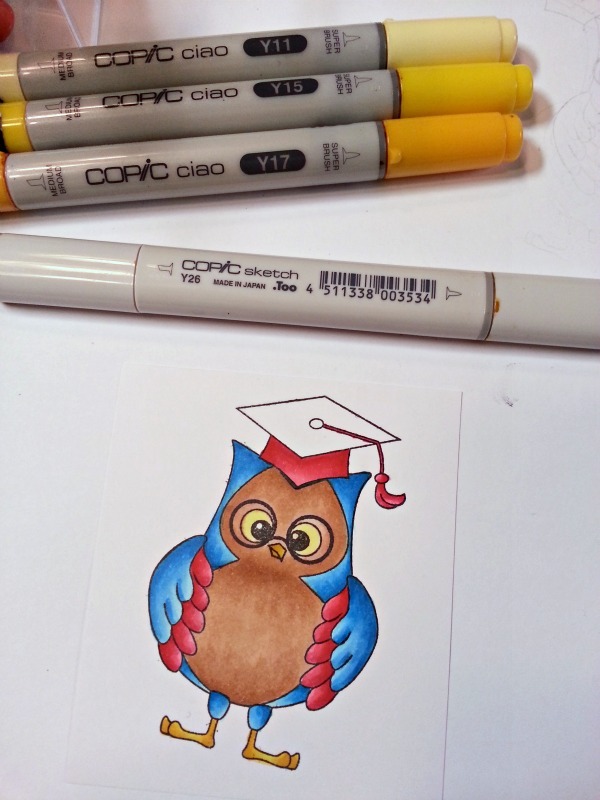 Here's another sample of sketch markers entering the collection. I used Y11 for the eyes - You could always leave them white. Then I used Y15, Y17, and Y26 for the beak and feet. The Y26 brings in just a hit of goldish brown. Almost finished! 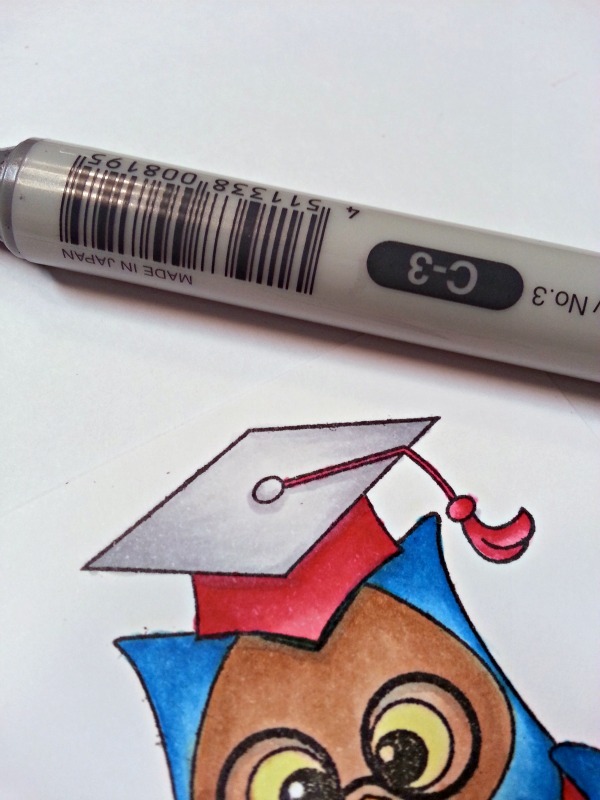 The graduation cap was colored with the cool grays. From the picture below, you'll see I like to keep my caps off while coloring (working one color at a time). It's a lot easier and faster to blend when you don't need to constantly cap and uncap the markers. Lastly, I used the C-3 to add a few harsh shadows to the image, adding depth. In the image below, you'll see this best represented as the shadow under the cap's button and string. Let's set that aside. Next I wanted to add some spray ink splatters to the card front. I like to place a paper towel or rag in the fold of the card to insure the mist doesn't immediately soak through. 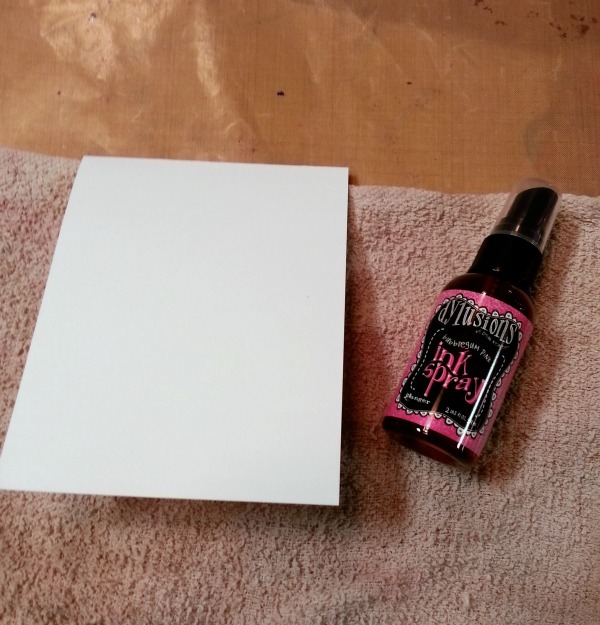 For today's card I'm using Dylusions Spray in Bubblegum Pink. To create the defined ink splatters, I have taken the nozzle off of the bottle. I hold the nozzle (at the cap) in one hand and use the other hand to gently tap the cap. 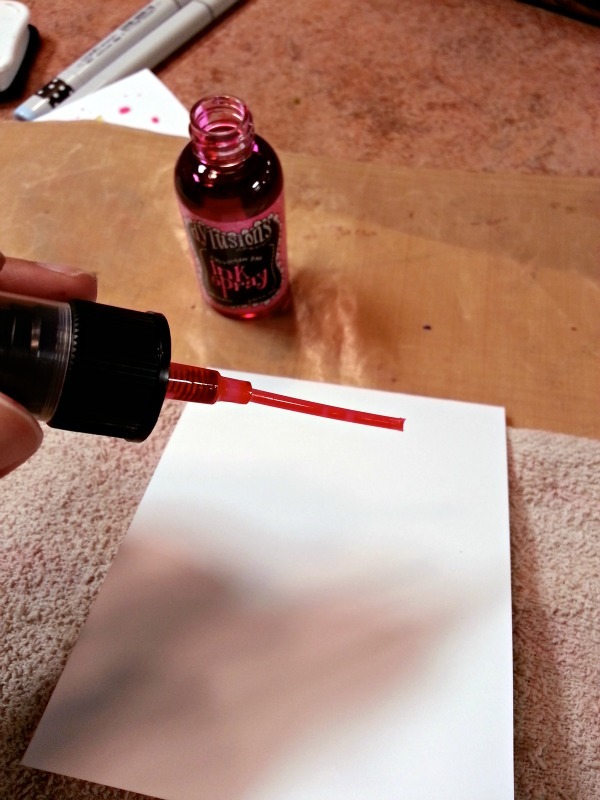 Continue adding ink to the nozzle and tapping onto the cardstock as desired. 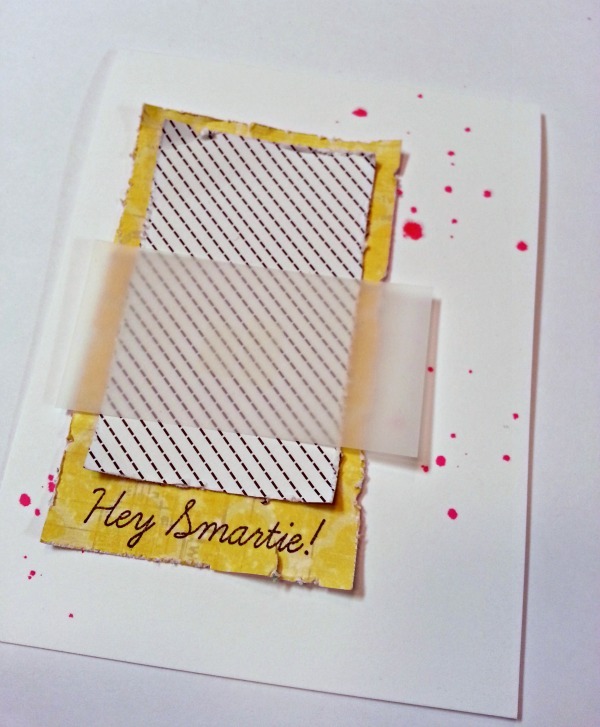 For this card, I chose to add a line of ink splatters from the top right corner down to the bottom left corner. Now for the layers! 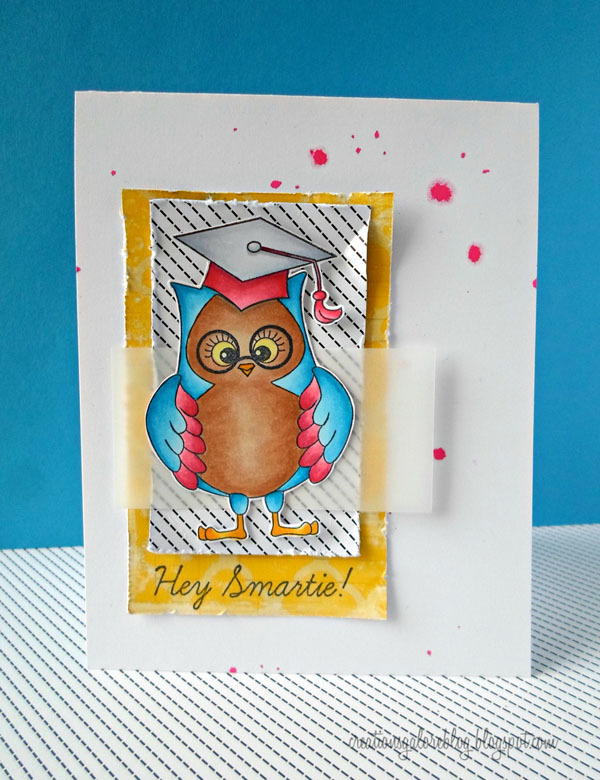 The layers of this card create texture and movement, and I'm ready to show you how to achieve the same look. First, I distressed the edges of the paper pieces. You could use a scissors, but I've found the Tim Holtz Paper Distresser to be my go-to tool. 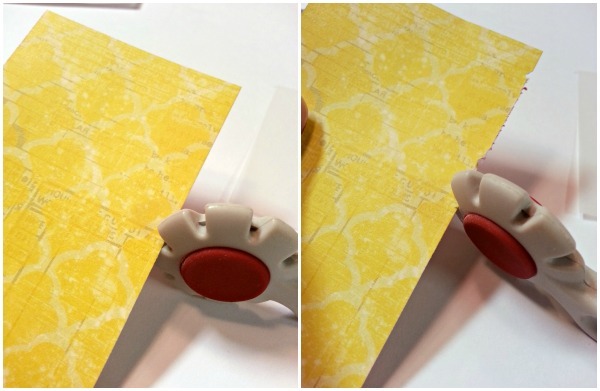 Just slide the tool along the edges of the paper and ta-da! Instant distressing. 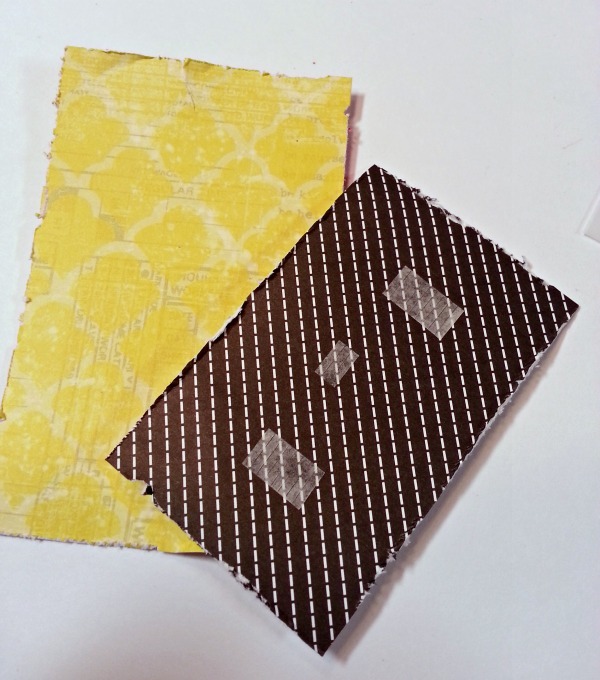 From the picture below, you'll see I gathered a piece of vellum and two pieces of patterned paper. 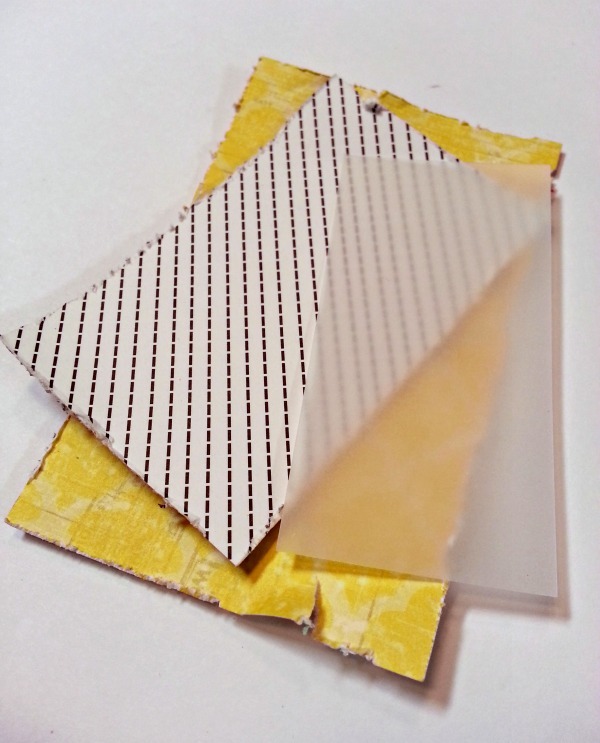 Vellum is a new favorite of mine to use on scrapbook layouts and cards. It adds an additional layer, but keeps the papers below it to be easily seen. 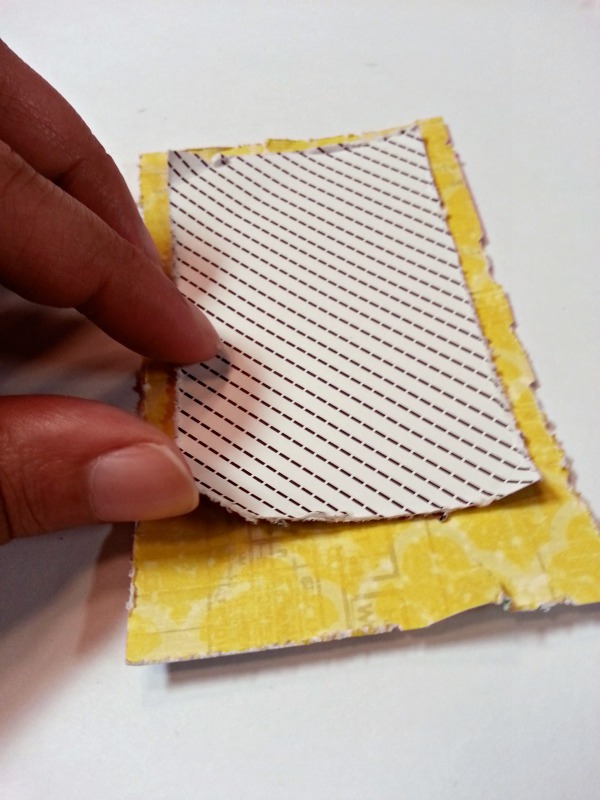 To create more movement, I've added adhesive only to the inside of the paper pieces. Mystik Permanent Adhesive is my favorite. You only need a piece or two to get the job done. It won't fall off - trust me! Once adhered, I use my fingers to round the corners of the paper, as well as any tears created with the paper distressing tool. The pieces are all ready to be assembled. MyStik has a great vellum tape; however, I placed just a small dot of the permanent adhesive strip to hold it in place. 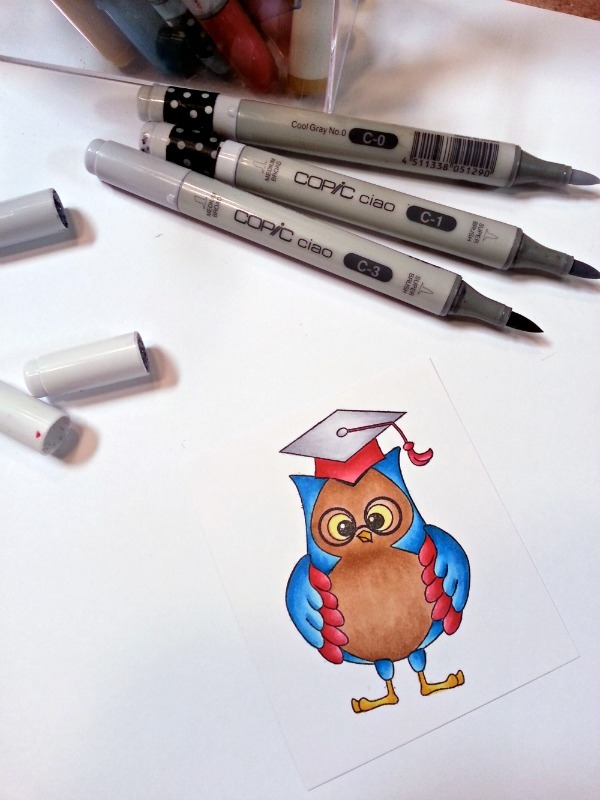 The owl image will cover up any adhesive shown. After adhering the pieces to the front, I stamped one of the sentiments available in the Peachy Keen stamp set onto the yellow patterned paper. 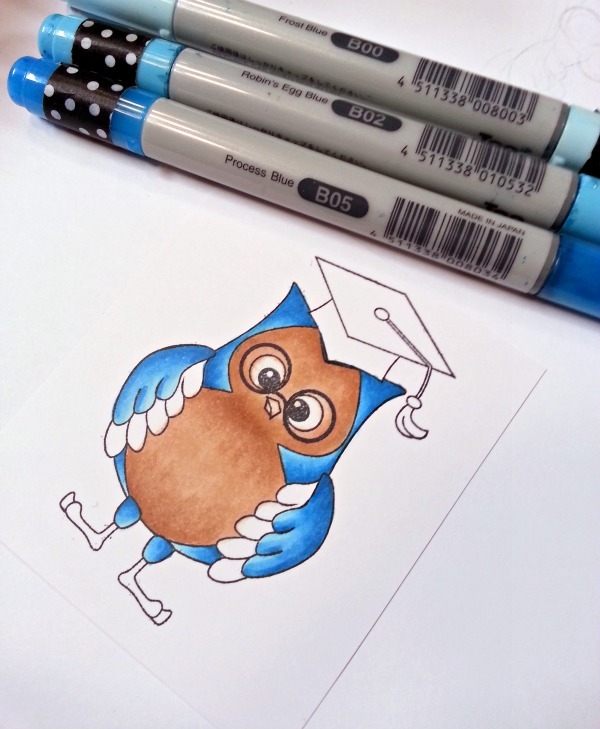 Add the owl onto the card (by adhering it directly to the card front with flat adhesive or foam risers) and you have a completed card! Thanks for joining me for today's From Start To Finish segment. Stop into Creations Galore soon to create a card of your own and try new techniques at our Make N Take station, available during store hours Monday through Saturday.